Leading manufacturer of all kinds of cast iron flour mill parts from over 50 years. We are Leading Manufacturer of Cast Iron parts from Rajkot, Gujarat, India. We are producing best quality material as per customers specifications. With our in-depth knowledge of this domain, we are actively engaged in offering an excellent quality assortment of Cast Iron Parts. 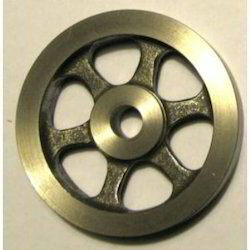 Finish & Semifinish Casting (aluminum & C I) Parts. Owing to rich industrial experience, we are involved in offering a huge assortment of Pumps Cast Iron Parts. These Pumps Cast Iron Parts are available in the market in bulk at most reasonable rates. 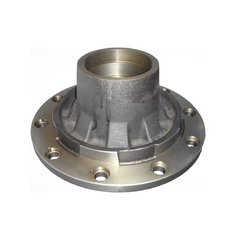 Pumps Cast Iron Parts are durable in nature and resistant to corrosion. We provide unmatchable quality products to clients. 0.300 Kg. To 100 Kg. : 1/2" to 35"
Keeping track of latest market development, we are devotedly occupied in providing an extensive series of Cast Iron Machined Components. Focused on technological up-gradation, dynamism and innovation, we are moving ahead by maintaining timeliness in delivering a wide gamut of Cast Iron Machined Component.The offered Cast Iron Machined Component is manufactured using optimum grade cast iron alloy and cutting-edge techniques in compliance with set industry norms. We provide ample and different types of Cast iron Components for the customer as per the customized needs.